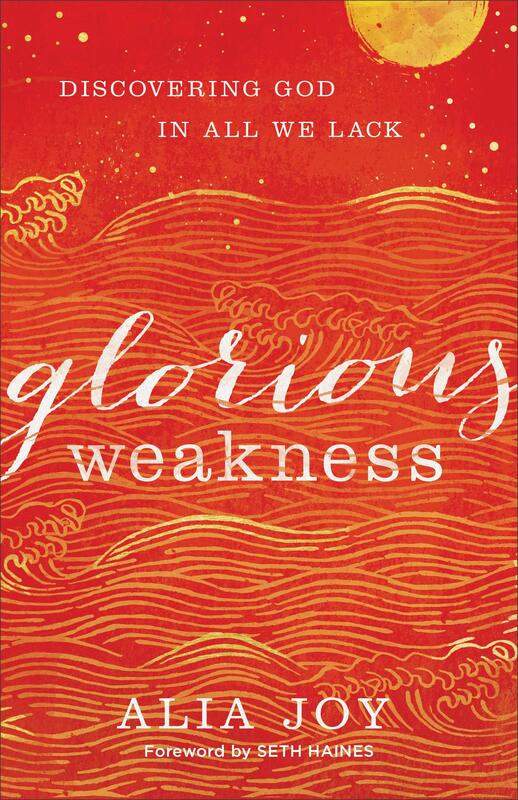 Mark your calendars because Alia Joy’s book Glorious Weakness: Discovering God in All We Lack comes out April 2! 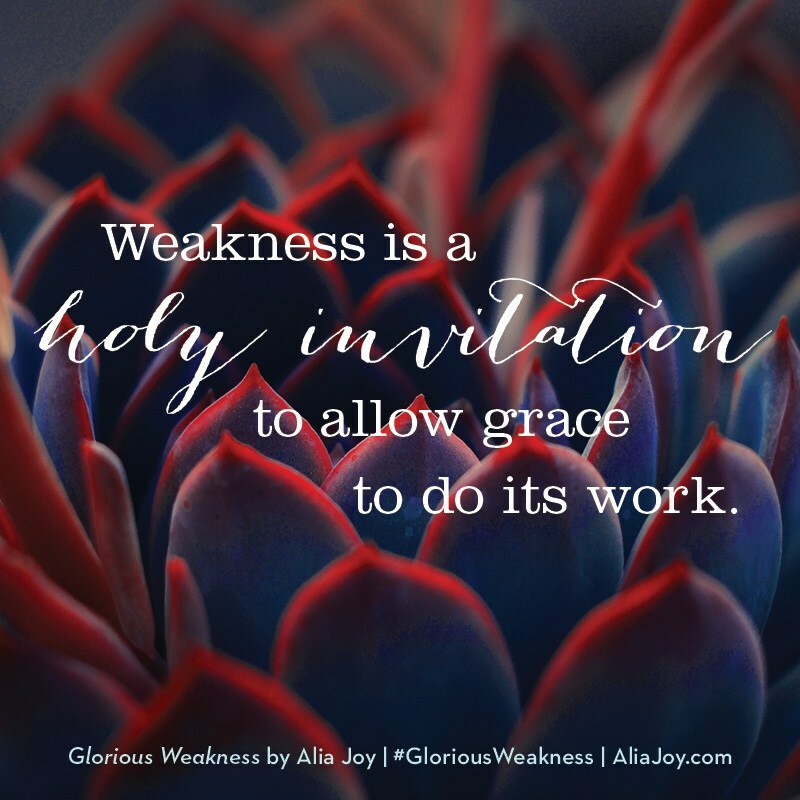 Shaley sits down with Alia this month to chat with her about her book, which chronicles her journey of exploring what it means to be poor in spirit and the power of embracing our weakness. Alia Joy is a speaker and writer who weaves beauty through even the most broken stories. Her raw vulnerability and unique perspective make her a trusted voice writing about mental and physical illness, abuse, race, body image, poverty, and hope. She lives in Oregon with her family, where weakness and glory converge daily. 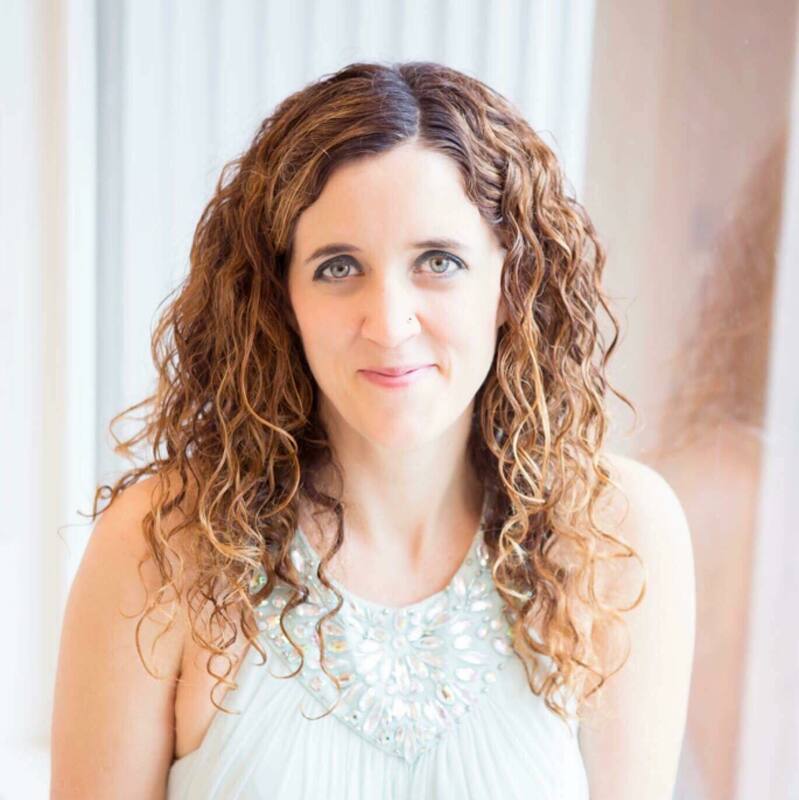 Her blog, AliaJoy.com, centers on her reliance on Christ, and offers insight into her life, family, and faith journey. “Calling feels like a cruel joke when you are hurting or suffering, when you are weary or poor or ill, when you’re confused or struggling in your faith, when you’re weak and it sounds like another to do you can’t manage. So I prefer to think of calling as telling the truth about God bearing witness to the world in all of the ways unique to us and our story. It’s being honest and vulnerable and open to the work of God in small and tender spaces. Its revealing to the world the image and character of God in the ways specific to how he’s created you. Everyone will do it differently, but no one can do it like you can. There are no unnecessary parts in the body of Christ. Click here to read Alia’s posts on SheLoves. 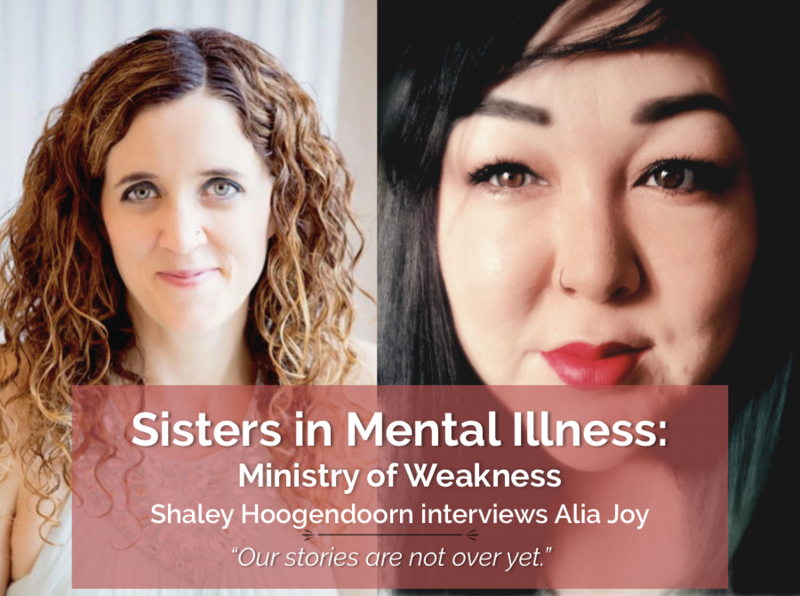 Sisters in Mental Illness is a vlog series where Shaley Hoogendoorn has real conversations with brave SheLovelys who are willing to share their experience living with a mental illness. We live in a time where one in four people struggle with a mental health disorder, so these conversations are very important. We will share ALL the stories—stories of sadness, madness, shame and struggle. The more we talk about hard things like mental health, the better we can understand and walk with and alongside our Sisters in Mental Illness. We can remind each other that our stories are not over yet. Together we can smash the stigma and stereotypes of mental illness, ONE story at a time. Email subscribers, please click through to the website to watch the video. If you are struggling with any mental health issues, we hope you will reach out and seek professional help.